Research: Do some research. Go online to any of the major Real Estate websites including www.platinumrealtygroup.com.au and compare properties that are both for sale and sold. It’s also a good idea to attend some home opens in your area. This will give you a better idea of what your property may be worth by giving you a price range to work with. Appraisals: Arrange for an agency that works in your area to come out and appraise your property. Platinum Realty Group has agents in all areas and provides a complimentary market appraisal service. Your agent will provide you with a good understanding of prices in your area and the current market conditions. Choose your agency: When selecting an agent, you are looking for someone that has a proven track record in your area; an agent that has the right skills, area knowledge and marketing backup. All Platinum agents will provide you with the latest most up to date marketing techniques. Presentation: First impressions count when selling a property. Remember, you and your agent are in competition with other properties on the market at the same time. Your agent will give some advice on how to best present your property to achieve the best results. Promotion: It is important that your property has the best promotion behind it. There is a saying, “You can’t sell a secret.” The right marketing campaign will bring more buyers to your property resulting in offers. Platinum marketing has proven to be successful over many years. Relationship: It is important that you have a good working relationship with your agent and are kept informed every step of the way. At Platinum, it is our policy to work with you and in your best interests at all times. This will ensure the best outcome for you every time. Offer:Your agent will present you with all offers. They will run through all aspects of the offer with you including clauses and attached annexures, so that you are best informed to make your decision. Your agent will be there to guide you and offer advice every step of the way. Acceptance: Once you have accepted your offer, you will nominate a settlement agent to act for you through the settlement process. Platinum can also assist you in recommending suitable settlement agents. Prior to settlement: Now is the time to think about the move: changing your electricity, gas, telephone, internet etc and arranging a removalist. 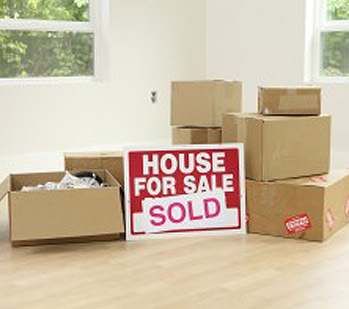 Platinum can arrange all of your services for you at no cost and also assist with removalists. Settlement: On settlement you usually meet with your agent to hand over keys. Your settlement agent will ensure a smooth transfer of land and funds. It is a busy time but remember to update all your insurance policies.